After 5 hours of research on four top rated rice cookers, we are happy to conclude that the Hamilton Beach Rice Cooker is the best large (6+ cups uncooked rice) sized rice cooker available online! With a high quality build, multi-functionality, and reasonable price, Hamilton earns the prize for best large rice cooker. Come check out how we determined the best! No matter what meal you’re preparing, the Hamilton Beach Rice Cooker lets you cook a variety of foods effortlessly. Its settings include 3 rice/grain options– white rice, quick rice and whole grain – allowing you to cook everything from a 10-minute batch of white rice to farro, quinoa, and other whole grains. Not only can you prepare rice, you can also steam/heat vegetables with the “Steam Cook” and “Heat/Simmer” settings. Making a whole meal in this rice cooker simply takes you placing some ingredients in a bowl and pushing a couple buttons– the future is here y’all. It can cook rice and whole grains perfectly, while simultaneously preparing your choice of vegetables, seafood, or poultry in an integrated basket. The 2-in-1 steamer basket can also be used to rinse grains before cooking, preventing unwanted clumping and resulting in a fresher taste (and one less dish to wash). Clean up is a snap with the dishwasher safe nonstick cooking pot. Its compact size makes for easy storage. Cooking healthy, delicious meals doesn’t get any simpler than that. The Aroma Housewares Digital Rice Cooker sits at a close 2nd, and is actually “Amazon’s Choice” for large rice cookers. Aroma’s rice cooker has a slightly lower average rating than Hamilton’s; however, Aroma is the #1 rice cooker brand in the US. Its high rating stem from its easy-to-use, programmable controls with automatic “Keep-Warm” function and multi-functional settings for other ingredients. In addition, if you purchase the Aroma rice cooker through Amazon, it comes with a steam tray, rice measuring cup, and a serving spatula. 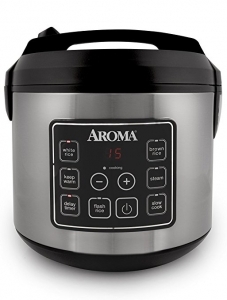 Despite the fact that Aroma has a slightly lower average than the Hamilton rice cooker, Aroma is the most reviewed. A common complaint with this rice cooker is that it does not preserve your cooked rice well. If you’re looking for a rice cooker where you can leave your rice in for the whole week, this one may not be the one for you. 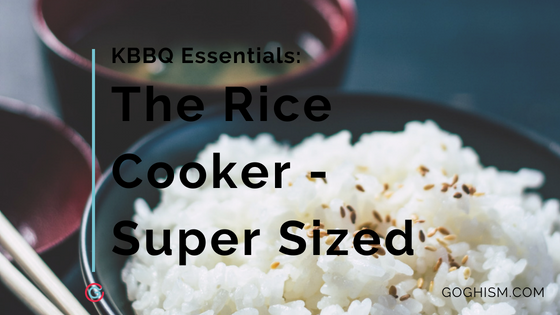 You’d probably be better off getting a smaller rice cooker and going with smaller batches of fresh rice. However, if you have plans to eat your all your rice within one sitting, or storing the remainder in the fridge, Aroma is an excellent option. Another common complaint is that this rice cooker does not age well. Its non-stick coating aids in clean-up, however, after repeated washes the nonstick coating peels off. This results in rice sticking to the bottom of the pan, making cleanup a hassle. 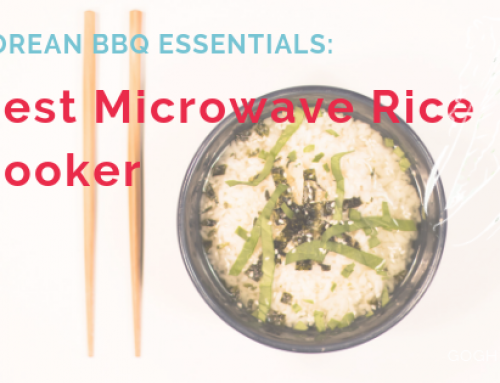 If you’re interested in the Aroma rice cooker, make sure to weigh out all the pros and cons! At 3rd place is the Tatung Multi-Functional Rice Cooker, with its simple design and settings. Unlike the previous rice cookers mentioned, Tatung only has two settings for you to choose from “Cook” or “Warm”. However, it can still be utilized to cook any grain of rice and to steam vegetables and fish on a steamer tray. While it may lack variety in the settings, Tatung’s durability and build quality is what makes this rice cooker so special. Its stainless steel exterior and interior last years, and results in fluffy rice that will not burn and stick to the edges of the pot. As mentioned earlier, Tatung has the ability to steam vegetables and fish as well, however, you do have to purchase the steamer tray separately. 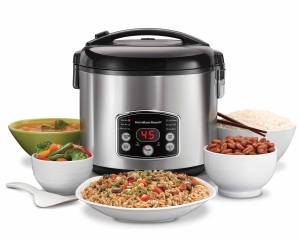 Tatung is the most expensive rice cooker on this list, so if you’re not interested in a simple rice cooker with 2 functions, you should resort to the Hamilton or Aroma rice cooker. If you’re looking for a high-quality rice cooker with extremely simple functions, Tatung is the best choice for you. The last large rice cooker on the list is the Presto Digital Rice Cooker. Presto’s reviews highlight how consistent it is when it comes to cooking perfect rice. 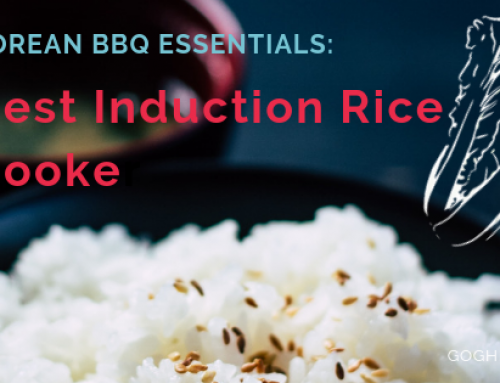 For $34.90 you get the Presto rice cooker, steaming basket, rice paddle, and handy measuring scoop–a true bang for your buck. 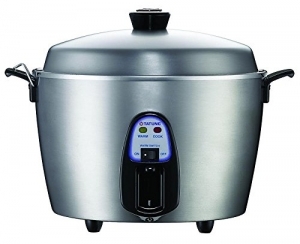 In addition, this rice cooker is extremely easy for customers to use. There are only three setting options-“Warm/Cancel” , “Cook/Steam”, and “Brown Rice”- making it even easier for customers to prepare a meal. Unfortunately, the pretty price of $34.90 comes with some complaints. 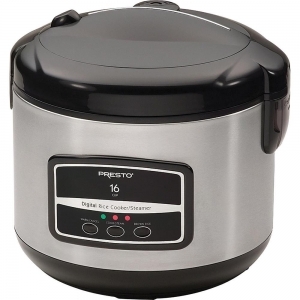 The largest complaints about the Presto rice cooker is the build quality — the exterior is made out of stainless steel, and its inner pot is an Aluminium pot with a nonstick coating. The inner pot is not as nonstick as expected and, “burns rice at the bottom making clean up extremely difficult” according to accumulated yelp reviews. Another thing to keep in mind is that the steam basket that comes with this large cooker is made of plastic. Therefore, you may want to purchase a separate metal steam basket to avoid any fear of plastic chemicals leeching onto your food. Despite these negative reviews, the Presto rice cooker has a 4.2/5 starts on Amazon with 107 reviews. A large sized rice cooker is a staple for families. These larger sized rice cookers have versatile settings that most small and medium rice cookers do not have. Embrace the additional features of a large rice cooker by preparing vegetables or other ingredients in an integrated basket to prepare a whole meal with ease. Our definition of a large rice cooker is 6+ uncooked cups of rice, which is enough for you to share a meal with your family and leave leftovers for future family meals. We decided to make this as easy as possible. We wanted to look at large sized rice cookers that everyone in the US would have access to buy and that had a good amount of data that we could peruse through. We chose Amazon for its near ubiquitous use for online shopping, went straight for “rice cookers”, sorted by customer ratings, and went down the list looking for any that claimed six cups of uncooked rice or more. We settled on anything above six cups (the cutoff for our medium rice cookers post) and anything above six cups of uncooked rice (twelve cups cooked) as that is the standard payload for when you’re cooking for a crowd. First thing, of course, is to build out the stable of reviewed large sized rice cookers. We’ll be going down our list as quickly as we can but if you have any rice cookers you are curious about hit us up and let us know. We are continuing our great journey into the hardware side of the culinary world, come along and help us see it through! It was great seeing how many large sized rice cookers there are out on the market that do a great job of what they’re supposed to do… cook rice. But like any piece of hardware durability seems to be a consistent and major issue for these babies. Also, I know we’ve harped on this a bunch in our Korean BBQ Grill post, but these companies really need to come out with some palatable names for their babies. Writing about something that is a jumbled bunch of letters and numbers drives me up the wall. Regardless, it’s reassuring to know that the well being of our rice eating brethren lie in good hands. May your rice be always hot, fluffy, and perfect.